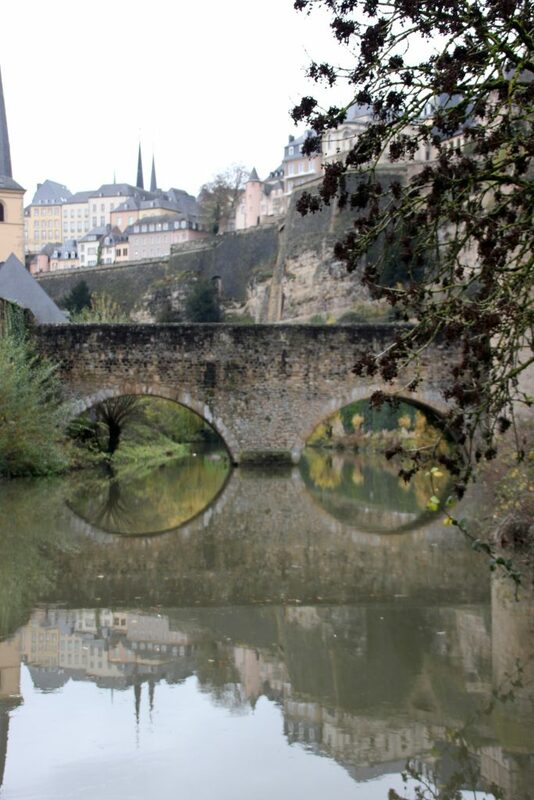 You can fly to Luxembourg City in less than an hour, but it often seems to be left off the list of cities in Europe to visit. 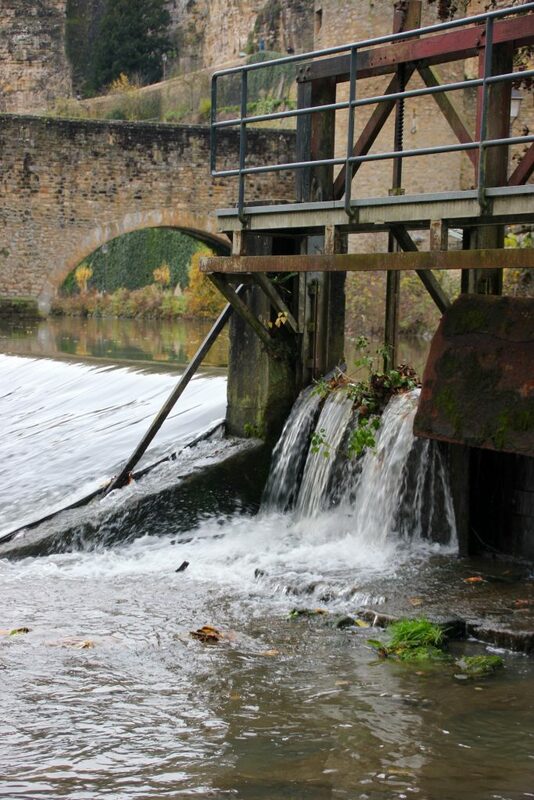 Built on a series of sharp twists in the Alzette River, many of its features are multiple levels of steep gorges, punctuated by successive construction of castles and forts. We are staying in the old town at the Parc Beaux Arts, which sounds lovely but turns out to be opposite a nightclub. This is hard work on night one – a Thursday – and impossible on the Friday night as hundreds of revellers shout outside our window till 4am. We grab some wine from a posh off license and a very pleasant Thai meal at Thai Brasserie Celadon on Rue du Nord before retiring with our ear plugs in. In the morning we walk down the Chemin de la Corniche, described as Europe’s best balcony, for a decent view over the whole valley. It’s a fairly steep walk down cobbled streets to the bottom, where the river meanders through a cute double bridge and over a weir. On the other bank there is a pretty-much deserted art museum and a well-presented Natural History museum. The Bock, a series of armament storerooms hewn out of the rock, seems to be closed, so we make do with views from the remnants of battlements. Then back into the old town to wander around the bustling Christmas market in Place d’Armes, and ending up in the Place de la Constitution, which is currently dominated by a neon Ferris wheel. In the evening we have a superb meal in the elegant surroundings of Le Bouquet Garni in Rue de L’Eau – a hard place to find in amongst twisty stone passages occupying many different levels. After another night of mayhem – more feral gangs of youths, some of them conducting drug deals round the back – we explain that we need to move out, and the hotel comes up with an elegant solution. They have a sister hotel at Parc Belair across town, so we have our luggage transferred and walk over there. A bit more Christmas market wandering, and a visit to the beautifully preserved Notre Dame cathedral with its excellent stained glass windows, followed by a good lunch at Colisee on Guillame Square. The Casemates de Petrusse, another underground set of armament stores, is also closed. We then walk out of town on Avenue Monterey and Avenue Dix Septembre – pleasant arterial roads punctuated by some flashes of art deco architecture – to arrive at our new home on the edge of a quiet park. Dinner in the Bistrot, a bordello-like snug with opulent furnishings, includes a local main course called Pachteit, which nobody seems to be able to pronounce other than simulating a sneeze, which is actually a delicious oversized chicken vol au vent. We retire for a welcome nights sleep. 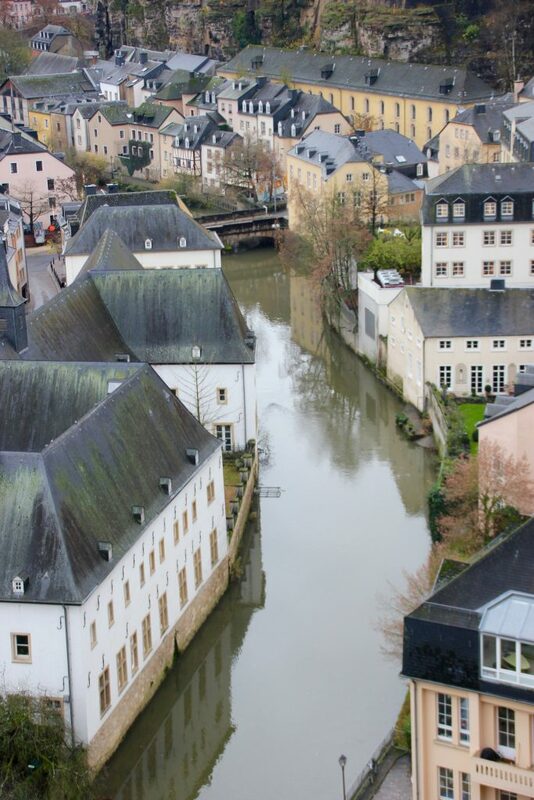 The Musee d’Histoire de la Ville de Luxembourg is extremely hard to find but ingeniously spread vertically over four converted townhouses on the edge of the gorge. It’s cleverly laid out with the biggest lift I have ever seen, and you start at the bottom. As usual with European cities, everyone has had a go – Spaniards, Prussians, French, Belgians and Germans, and the place has been blown up with alarming regularity. 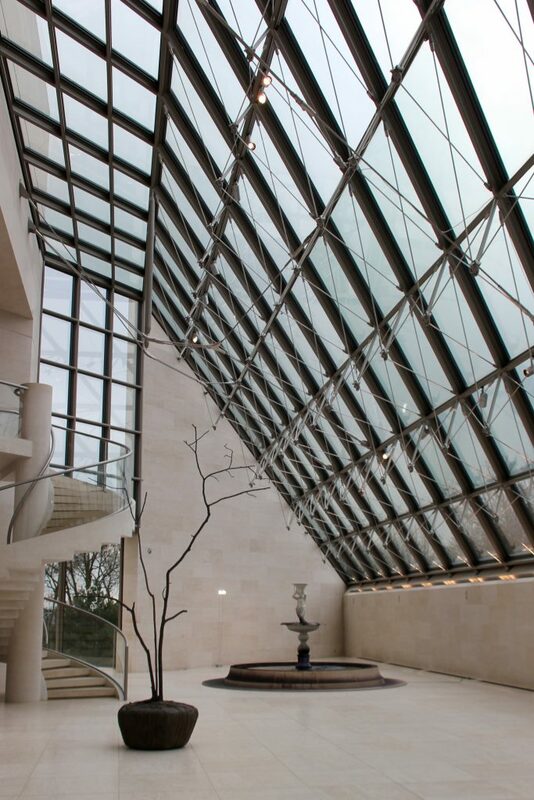 MUDAM – the museum of modern art – brings us right up to date in a more surreal setting. 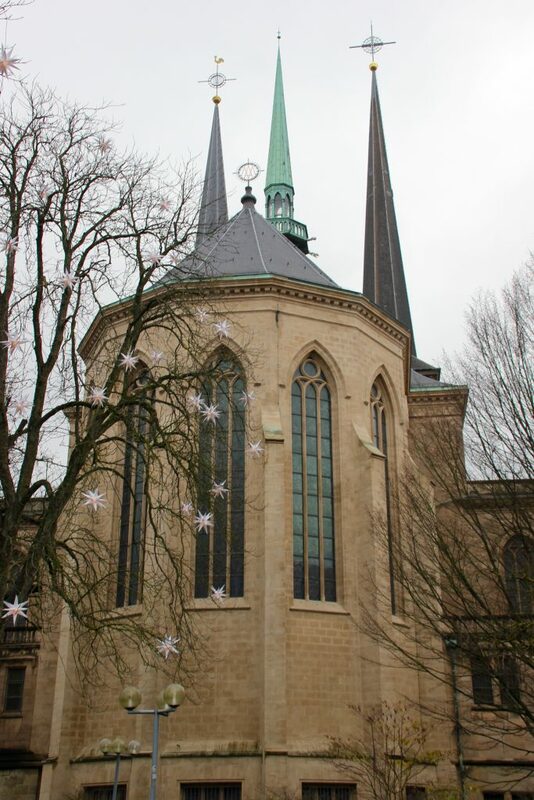 You wouldn’t say that Luxembourg is the most exciting place in Europe, but there is a lot more to it than many would have you believe. It is definitely worth a long weekend break, so long as you avoid staying next to a nightclub.